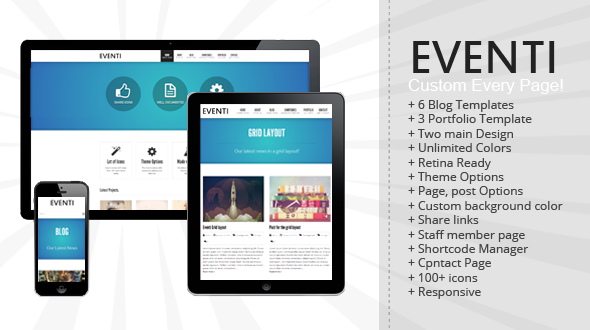 Eventi is a responsive WordPress Theme, it is Retina Ready that means it will automatically fits your screen size and looks just as great on the iPhone as it does on the desktop. 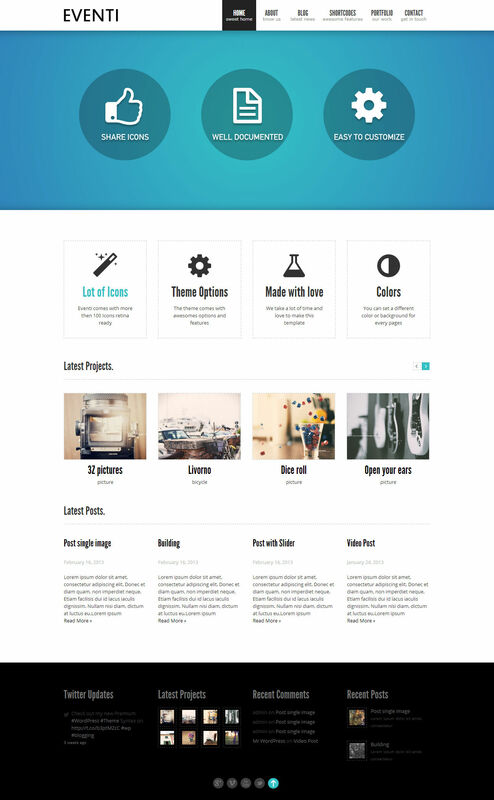 Easily customizable via the WordPress Admin Interface, upload your own logo, change color of the theme in one click. You can customize each page to make each of them unique! Built-in swipe support for your portfolio, images and video. Eventi can be used for Business or Creative site. If you need support you can contact me via private message or via twitter @ryukadesign.